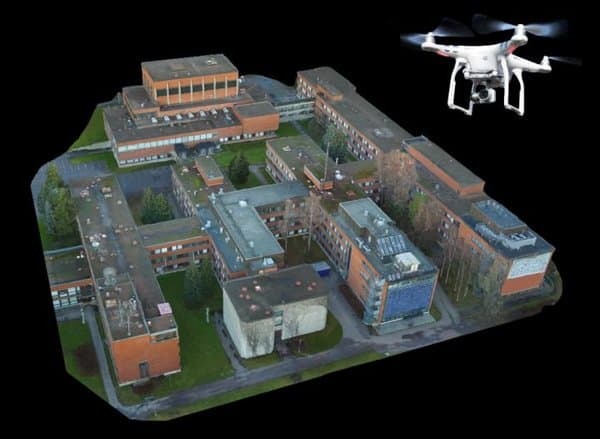 The future of communication is a route via the contemporary drones or air vehicles – that’s how a team of researchers from the Aalto University and the Tampere University of Technology has conceived their latest research goal. Exponentially increased use of mobile devices has consistently put the demand bar high for the wireless network. And justifying the need of the decade, Vasilii Semkin, a researcher from the group has come up with a way to diminish the hurdles using aerial photography. It’s going to be a support system, rather an imaging subsystem to furbish the radio links. The team voiced, using a drone and photogrammetry software they could generate a drone and comprehensive 3D models of urban colonies. Taking photogrammetry software treated imaging technique, they produced the models out of two or more photographs. Related measurements and simulation results pointed out, a detailed model lowers the complexity associated with network planning at millimetre-wave frequencies. Nevertheless, the model with its accuracy doubles the significance of their research. The corresponding research paper compares the current 3D modeling technique using photogrammetry. However, their current method not only offers a detailed description but also significantly decreased the cost implications. The model formed can be divided into two parts, one being a simple geometrical model and the second one offers a highly accurate close-range photogrammetry model where the latter one is responsible for highly accurate building geometry. Commenting on the applications of this technology, Semkin reveals that such models help people to predict and fix base stations for an optimum coverage of the network. Using this technique, 5G wireless connections could be fabricated in near future. The complete research paper has been published in the IEEE Xplore Digital Library. The future of communication is a route via the contemporary drones or air vehicles – that’s how a team of researchers from the Aalto University and the Tampere University of Technology has conceived their latest research goal. Exponentially increased use of mobile devices has consistently put the demand bar high for the wireless network. And justifying the need of the decade, Vasilii Semkin, a researcher from the group has come up with a way to diminish the hurdles using aerial photography. It’s going to be a support system, rather an imaging subsystem to furbish the radio links. The team voiced, using a drone and photogrammetry software they could generate a drone and comprehensive 3D models of urban colonies. Taking photogrammetry software treated imaging technique, they produced the models out of two or more photographs.